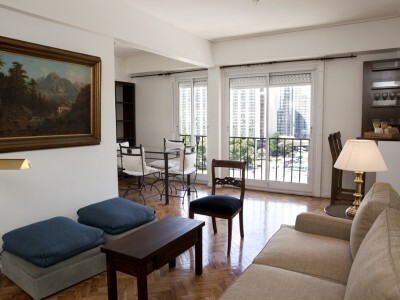 Plaza San Martin: Juncal & Libertador Ave.
Beautiful apartment located in Plaza San Martin with amazing open views overlooking the park, dowtown`s skyline and river. 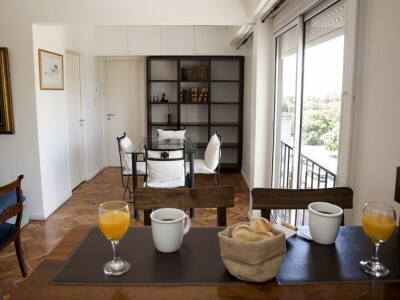 This apartment offers all the comforts of home to guarantee a nice stay in Buenos Aires. 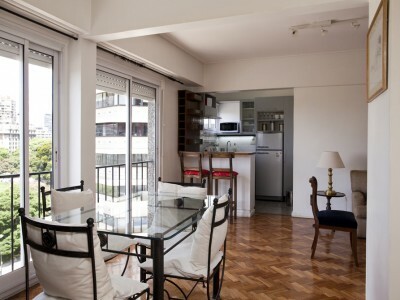 Located on the 11th floor, this pretty apartment opens up to a beautiful living room area with windows, filling the space with natural light. From the living room, guests can enjoy an open spectacular city view. 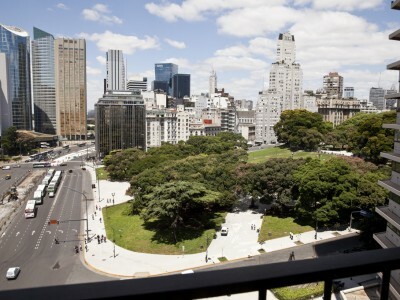 Plaza San Martin is within moments of downtown Buenos Aires and both the Recoleta and Retiro neighborhoods, all desirable places to visit in the city. Gorgeous architecture is one of the main attractions of these areas, along with the fantastic gastronomy options, shopping streets, and parks and plazas. 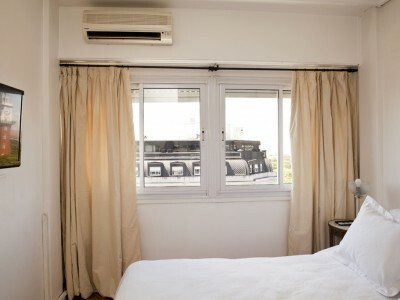 Guests can spend the day out discovering Buenos Aires and finish it with a glass of wine on the apartment’s overlooking the city and sunset. 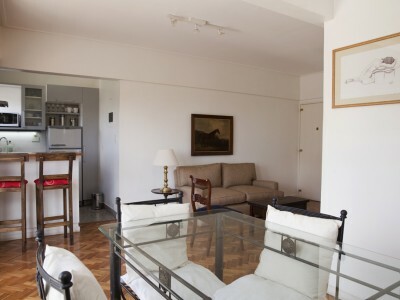 - LIVING ROOM: living-dining room, complete with sofa and table for up to 4 people, facing an open spectacular city view. 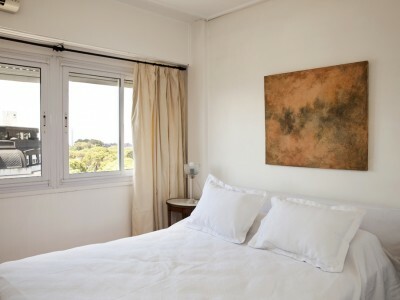 - BEDROOM: Bright bedroom with queen-size bed, LCD TV, large window with natural light, and spacious closets. Air-conditioning. Beautiful views of the outside. - BATHROOM: Full sized bathroom, with shower/bathtub. Includes: hair dryer. 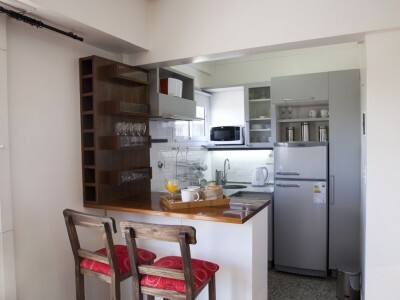 - KITCHEN: open to the living room with refrigerator, oven, microwave, coffee maker, toaster and additional appliances. These rates are final in USD; they include: building expenses, cable TV, electricity, water, gas, high-speed internet access, local phone calls (control line for limited local calls), cleaning service once a week and taxes. Please note: Rates from december 20th to january 2nd are higher for this apartment.